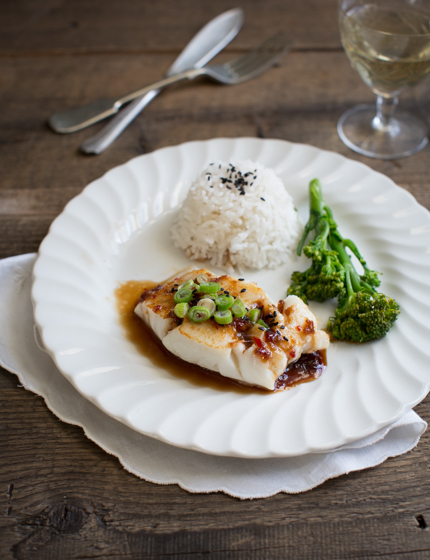 This Japanese teriyaki sauce is really quick and easy to prepare and tastes great with white fish. Heat 2 tsp olive oil in a small saucepan and fry the garlic, ginger and chili for 2 minutes. Add the soy sauce and honey and leave to boil for 5 minutes until the sauce starts to thicken. Meanwhile, heat the remaining 2 tsp olive oil in a friyng pan. 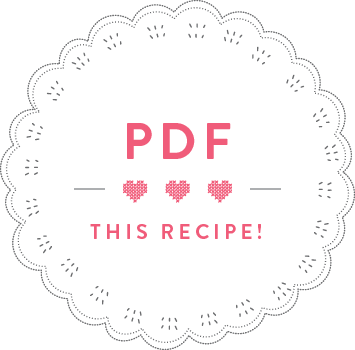 Cut the cod fillet in half and season with salt and pepper. Fry in the preheated oil for 2 minutes, then flip the fillets and cook for another 2 minutes on the other side. 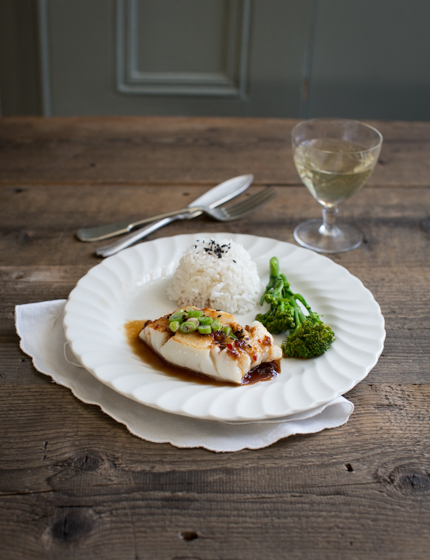 Put a fish fillet onto each plate and drizzle with teriyaki sauce, then sprinkle with sesame seeds and spring onions.